Mr K S Narayanan, Chairman Emeritus of The Sanmar Group, passed away on 28 September 2012. He was 93. He had over five decades of entrepreneurial management experience in diverse areas of industry, including Cement, Plastics, Sugar, Drugs and Pharmaceuticals, Shipping, Ceramic Insulators, Rubber, Calcium Carbide, etc. 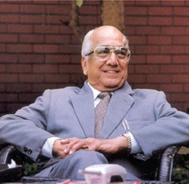 He was involved for many years as Promoter and Managing Director of The India Cements Ltd., the largest manufacturer of cement in South India. He was also Promoter Director of Chemplast Sanmar Limited, Sanmar Shipping Limited, WS Industries Ltd., Tamil Nadu Dadha Pharmaceuticals, etc. Mr Narayanan was a generous hearted person known for his philanthropy. He had been involved in the management of several educational and charitable organisations including Indian Education Trust, Mrs Madhuram Narayanan Charitable Foundation, Sanmar Welfare Trust, Uttara Swamimalai Trust and several other trusts. Mr Narayanan had been a patron of tennis, cricket and various other sports. He was a Patron of the Tamil Nadu Cricket Association, the Tamil Nadu Tennis Association and a former President of Tirunelveli District Cricket Association. Mr Narayanan has two sons – Mr N Sankar and Mr N Kumar, and his grand son Vijay Sankar who manages The Sanmar Group and is well known in the industrial and sports circles. N Sankar obtained his B.Sc. (Tech) in Chemical Engineering from the AC College of Technology, University of Madras, graduating First Class with distinction. He thereafter obtained his Masters degree from the Illinois Institute of Technology, Chicago. Sankar serves on the Boards of a few companies outside the Group, such as NOCIL Limited; FLSmidth Private Limited, the Indian subsidiary of FLSmidth A/S, Denmark; and the India Advisory Board of CRH plc, Ireland. Over the years, Sankar has held office in several public bodies representing trade and industry, including President, ASSOCHAM, Chairman, Indo-US Joint Business Council, Chairman, Madras Chamber of Commerce and Industry and President, Madras Management Association. 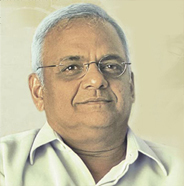 Sankar has received awards recognising his services to business and industry, such as the ‘Lala Shriram National Award for Leadership in Chemical Industry’ from the Indian Institute of Chemical Engineers, and ‘Rasa Udyog Ratna’ from the Chemical Industries Association. He has been elected a Fellow of the IIChE, and an honorary member of the Chemical Industries Association. Sankar was presented with the Lifetime Achievement Award at TiECON, Chennai 2010. N Sankar was conferred a ‘Lifetime Achievement Award’ at the ‘Vinyl India 2012’ international conference. The award came in recognition of his pioneering spirit and efforts in the promotion of a wide range of industries in India and abroad and immense contribution to the growth of the PVC industry. Sankar is involved with the management of many educational and charitable organisations. He is a member of the Management Boards of the Indian Institute of Management Kozhikode, the Cancer Institute Chennai, the Chennai Willingdon Corporate Foundation, and other similar organisations. Keenly interested in sports, he has been the Vice President of the All India Tennis Association, and President of the Tamil Nadu Cricket and Tennis Associations. Sankar has been the Honorary Consul General for Denmark in South India since 1989, and has been awarded the ‘Knight of the Order of the Dannebrog, First Class’ by the Danish Government in recognition of his services. 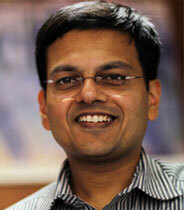 N Kumar is an Electronics Engineering Graduate from Anna University, Chennai. He is on the Board of various public companies and carries with him vast experience in the spheres of Technology, Management and Finance. 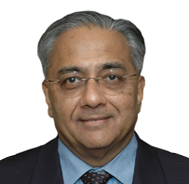 As a spokesman of Industry and Trade, N Kumar is a Past-President of Confederation of Indian Industry (CII) and has participated in various other apex bodies. N Kumar has a wide range of public interests going beyond the confines of corporate industrial management in health, social welfare, education and sports. One special area where he and the Group are involved is a Centre for Exceptional Children called the Madhuram Narayanan Centre. N Kumar is the Honorary Consul General of Greece in Chennai. Vijay Sankar holds a Masters in Business Administration from the JL Kellogg Graduate School of Management, Northwestern University, and is also a qualified Chartered Accountant. Prior to that, Vijay earned his Bachelor of Commerce degree from Loyola College in Chennai. As Deputy Chairman, he is responsible for the Group’s operational management. Apart from organic growth of the main businesses, Vijay has been actively involved in Sanmar’s entry into overseas countries. The Sanmar Group has manufacturing facilities in Mexico, the United States of America and Egypt, apart from its numerous manufacturing units in South India. Vijay serves as a Vice President of the Tamil Nadu Tennis Association (TNTA). Formerly Honorary Consul for Spain in Chennai.